A World Bank tribunal ordered Venezuela to pay steelmaker Tenaris SA (TENR.MI) $162 million for expropriating two investments in the country, according to a statement published by the Buenos Aires stock exchange on Wednesday. Luxembourg-based Tenaris, the world’s top producer of seamless steel pipes for the energy industry, and its Talta Lda subsidiary had approached the International Center for Settlement of Investment Disputes (ICSID) in 2012 after its investments in Tubos de Acero de Venezuela SA and Complejo Siderurgico de Guayana were expropriated. 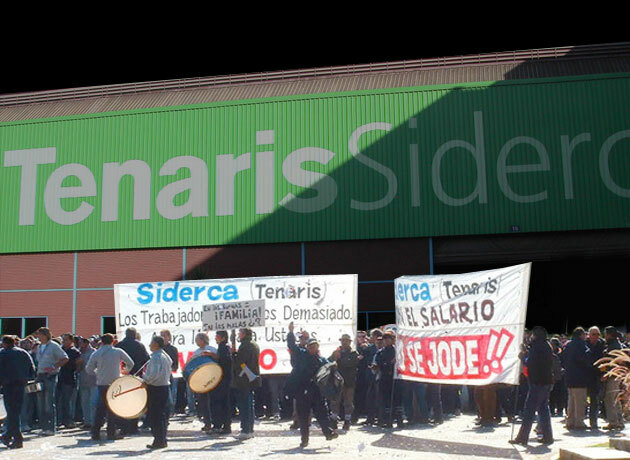 The ruling adds pressure on the cash-squeezed country after a similar decision earlier this year, when the ICSID ordered Venezuela to pay Tenaris some $172.8 million for the takeover of its Matesi Materiales Siderurgicos unit. Venezuela faces more than 20 pending arbitration awards, most stemming from high-profile nationalizations during the presidency of the late leftist Hugo Chavez. Many have not been resolved and the South American country has requested reviews or annulments of recent ICSID decisions, which critics see as attempts to stall the payment of fines amid a biting recession. Tenaris’ shares make up some 3.5 percent of the value of Argentina’s Merval stock index .MERV, and are also listed in Milan and New York. Shares on the Argentine stock exchange (TENA.BA) were down 1.7 percent at 277.30 pesos($17.37) per share on Wednesday after touching a two-year high on Monday.